You may know what a hassle it is to deal with water problems in your basement. Wet basements are not only an annoyance, but they can also be hazardous to you and your family – too much moisture in the basement leads to mold growth, rot, and water damage. It is important to keep your basement dry, as a dry basement promotes a healthier home. 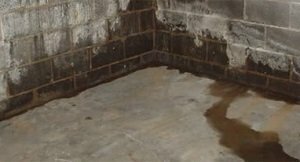 Rapid Foundation Repair has a team of professional basement waterproofing specialists to provide any basement seepage repair services you may need. If the foundation of your home is experiencing failure, your home will be even more susceptible to basement seepage. When the soil around a foundation expands as it absorbs extra moisture, the hydrostatic pressure increases, and begins pushing on the foundation. If this pressure becomes too great, it can cause the foundation to crack. 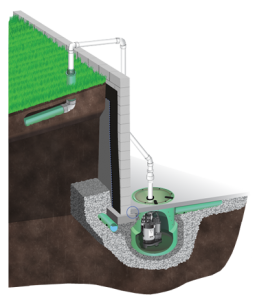 Foundations that shift or crack develop entry points for water. Basement cracks such as floor cracks and wall cracks are common causes of wet basements. Besides entering from cracks, however, water can also enter the basement by other routes. Often, water can seep in where the basement floor and walls meet. It can also come in around any windows in the basement or even over the foundation itself. Because the concrete in your foundation is porous, it can become saturated with moisture if water is allowed to pool around it. This not only affects the integrity of the foundation but also means that water can seep through the walls and into the basement in extremely wet conditions. No matter how water enters your basement, it is important to take care of it as soon as possible. The best way to fix basement seepage is to prevent it from happening in the first place. This can be done with a surface drainage system and an exterior drainage system. The surface drainage system is made up of the gutters, downspouts, and proper grading around the foundation. The exterior drainage system consists of sheet drains and drainage tiles to carry excess water away from the foundation. These are important to keep your basement dry and protect your foundation. If water does end up getting into your basement, however, it is important to have a method to re-route it so that it cannot cause damage. The best way to accomplish this is to install a quality interior drainage system which will collect basement seepage and guide it to a sump pit. 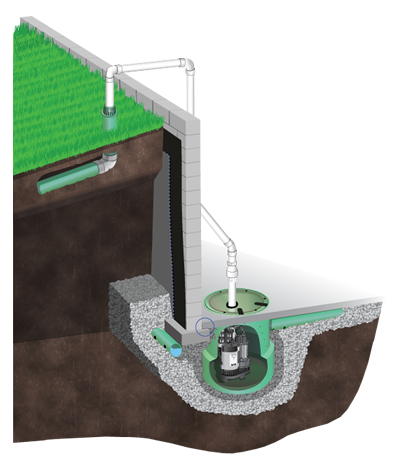 From there, the sump pump will pump the water out the basement and away from your home. Installing a vapor barrier can also help keep your basement dry. Vapor barriers are damp-proofing materials that are installed along walls and ceilings to seal out moisture. They are commonly used for crawl space encapsulation to prevent a damp crawl space. To develop an effective basement drainage system, a good balance of exterior and interior waterproofing is needed. 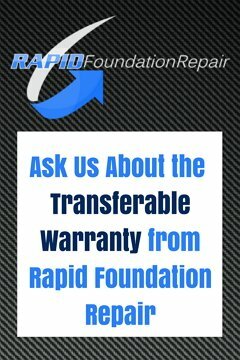 Rapid Foundation Repair is the quality supplier of all basement seepage repair services in South Dakota, Wyoming, and Nebraska. Contact us today for more information!